Cheers, dears! Behold, the rites (and rights!) of Spring. It’s been a long winter, so this month Bailey is giving you permission to indulge as your reward. So, hang up that scarf and get ready to scarf down this installment of B&B. A culinary road show starts our journey, followed by my monthly Beauty Report to keep you svelte, neat and sweet. Sometimes you need a little guilty pleasure. Bailey finds his at Pig Beach, an over-the-top den of barbecued gluttony in the Gowanus neighborhood of Brooklyn. The brain child of Chef’s Matt Abdoo from Del Posto and Shane McBride of Balthazar and Augustine, Pig Beach offers an “alchemy” of barbecuing ingenuity, highlighting Italian, French, Middle Eastern, Asian and, of course, American techniques and ingredients. 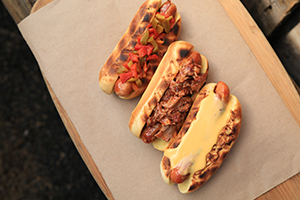 Think NYC-style pastrami, Za’tar Rubbed Leg of Lamb, Yuzu Glazed Smoked Duck or tried and true Buffalo chicken wings. Bailey particularly enjoyed the Pork Shoulder, drizzled with hatch vinegar sauce and the Pig Beach signature rub, as well as Yankee Red Hot Sausage, stuffed with provolone and hot cherry peppers. Its emphasis on wood-fire cooking and sourcing by local purveyors, sustainable seafoods and market fresh produce give Pig Beach a festive neighborhood vibe, made even more festive by a beer, cocktail and wine menu dominated by local breweries and distilleries. It’s the perfect, no-judgement locale for after-work gatherings or weekend gorge fests with friends or family. But no photos—barbecue sauce is not a flattering color this (or any season). Even Bailey can’t pull that off, and I walked the runways in Milan for years. Info: pigbeachnyc.com. You’ve indulged, now it’s time to... indulge again! 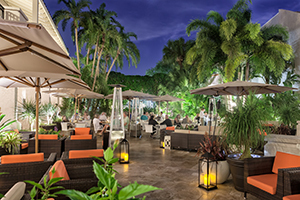 The hottest sustainable, healthy and gastronomic restaurant this season is Farmer’s Table in Boca Raton, FL. The eatery, started by real estate developer Mitchell Robbins and Chef Joey Giannuzzi, concentrates on fresh, seasonal ingredients in their purest form, devoid of excess fat, salt, processing, toxins and all the other extras you don’t want. They call it their “Never Ever” menu: diners will never find any chemical, hormone, pesticide or antibiotics in our proteins—they don’t even have a deep fat fryer or microwave! “I have always eaten simply and conscientiously,” says Robbins. “I like to know the sources of my food—that it was grown cleanly and sustainably. I like fresh fruits, vegetables and grains in their simplest form.” Farmer’s Table’s even boasts a “Scratch Kitchen” – 95 percent of its dishes are made from scratch. Says Chef Giannuzzi, “A great chef once told me, ‘The chef who manages the most details well has the best kitchen and therefore the best food.’” He’s not kidding! Favorites include Spasta” & Meatballs featuring a choice of chicken or vegan meatballs, spaghetti squash, organic spinach and tomato basil sauce. Also try the Grilled Chicken Paillard with arugula, grape tomatoes, shaved Parmesan cheese, red onions and lemon-oregano vinaigrette. Also included on the menu are salads, flatbreads and hand-crafted cocktails with vegetarian, vegan, and gluten-free options. The restaurant serves grass-fed beef, free-range chicken and sustainable seafood that adheres to the Environmental Working Groups “Dirty Dozen” clean food philosophy. “I like using quality ingredients that only need a brush of olive oil or sea salt to really shine,” says Giannuzzi, “I like paying attention to sustainability and environmental issues that come along with procuring food. I also believe in minimal processing and demand that everything is made in house so we know exactly what is in the food we serve and can be proud of it.” Info: farmerstableboca.com. 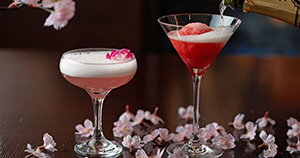 Ten years later, the still buzzy Four Seasons DC’s Bourbon Steak is taking Cherry Blossom season to new heights. It’s collaborating with the Capital’s Artechouse, an exhibition space showcasing experimental and exploratory art through science and technology, to create an augmented reality cell phone App connected to the restaurant’s Cherry Blossom-themed cocktails. That’s right! Order a Sakura Spritz, open the App, take a photo of your drink and boom! A special chip activates a 3D graphic and brings your elixir to life. And speaking of that Spritz—it’s a potent blend of Lindera Farm’s Cherry Blossom vinegar, Yuzu, Roku Gin and raw honey syrup. Just keep serving until the season ends. Info: fourseasons.com/Washington/dining/restaurants/bourbon_steak. 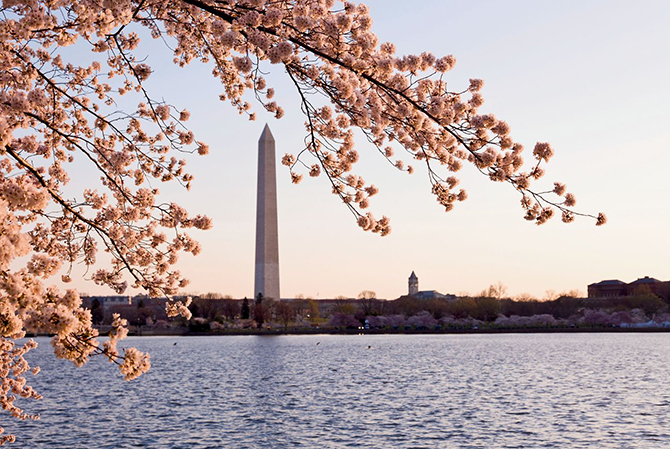 Make your DC sojourn a two-day affair with a Cherry Blossom-drizzled escape at The Ritz-Carlton Pentagon City, one of Bailey’s favorite weekend getaways. 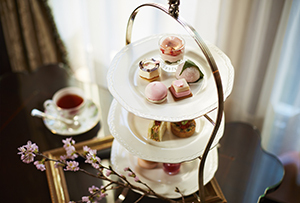 The surprisingly chic hotel is celebrating the capital’s most festive season with a full menu of treats and amenities, including a Cherry Blossom Afternoon Tea, with petite sweet delights, fresh homemade scones and traditional tea sandwiches inspired by the blossoms, as well as Sakura influenced delicacies, specialty cocktails and a wide selection of teas from Palais Des Thés. Its trendy lobby restaurant also gets into the spirit(s) with Japanese-influenced libations like the Hanami made with tea leaves, cherry blossom green tea-infused sake, ginger ale, cherry juice, and a squeeze of fresh lime. Or how about the Sakura Matsuri a Cherry Blossom Japanese Whiskey. Info: ritzcarlton.com/en/hotels/washington-dc/pentagon-city. Tickle that palate with homemade sweets! Bailey was particularly charmed by a Washington D.C. bakery called Buttercream, which has gained both a local and national fanbase with its fresh baked, warm-from-the-oven delicacies. Guests savor its daily roster of pies, bars, cupcakes and cookies, as well as French macarons in a variety of flavors (Nutella to lavender-lemon to rosewater-raspberry jam). Particularly popular are its Stuffed Breakfast Bomb (scrambled eggs, melty cheese, freshly made sausage, delicious milk bread), Queen B (buttercream croissant with sugar and sea salt laminated into the layers) and Cinnascone (buttermilk scone dough filled with a mixture of butter, sugar and cinnamon topped with a cinnamon sugar glaze). At the core of its delicious treats is an Italian Meringue-style buttercream made by whipping butter into a creamy meringue rather than adding powdered sugar to butter, which results in a smooth, silky frosting. The geniuses behind this sugary haven are pastry chef Tiffany MacIsaac and her business partner and lead decorator Alex Mudry-Till, who have made Buttercream the most popular, beloved bakeshop in the Capital and beyond. 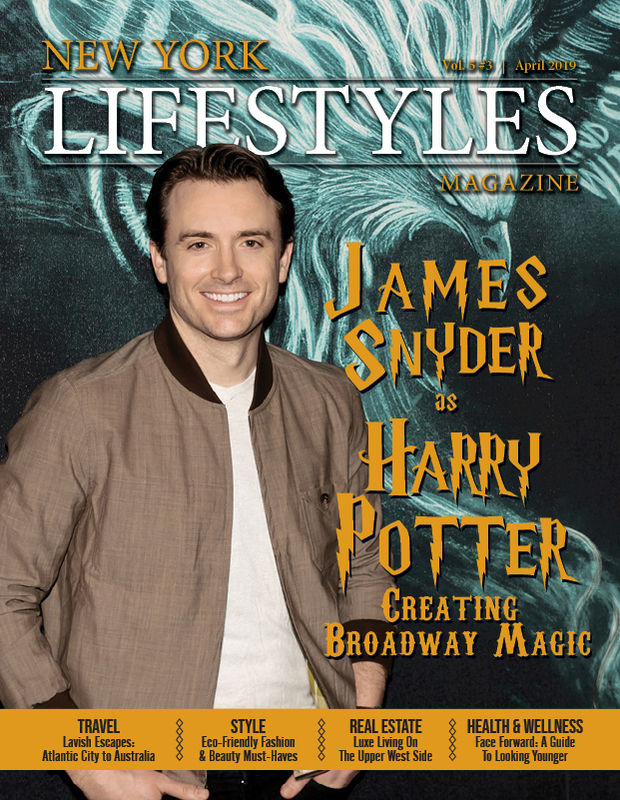 They made national headlines last month with an order for 150 custom Faberge Eggs, which they created with flavors like Chocolate Cake with Chocolate Ganache and Chocolate Buttercream and Almond Cake with Strawberry Jam and Strawberry Buttercream. 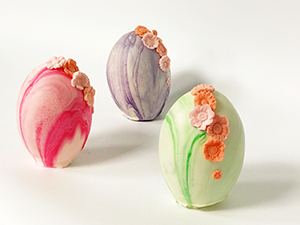 The attention to detail was evident in every step—from hand-painting the molded gum-paste appliques gold to the non-toxic varnish on each egg. The eggs took over 300 hours of decorating time to complete! Info: buttercreamdc.com. The Mandarin Oriental is known worldwide for its holistic approach to spas and wellness. And fun, too. How else to explain its Washington, D.C. hotel’s Cherry Blossom Treatment, a seasonal, full-body ritual inspired by Japanese tradition. It starts with a warmed exfoliating cream with Cherry Blossom rice powder, followed by a second exfoliation with mitts that soften the skin and invigorate the body. A full-body massage follows using melted aromatic Shea butter, and then concludes with a unique foot massage based on reflexology to revive vital energy. It’s the perfect way to end—or start!—a day touring the Capital’s cherry blossom sites and festivals. Info: mandarinoriental.com/Washington/national-mall/luxury-spa. • A skin care brand generating the most buzz this season is OMI, a new range of products targeting skin that has lost its elasticity, leading to the onset of deeper lines and wrinkles. Bailey is too young to notice, but as we (err, “they”) age, fatty tissues in skin start to thin, and the connective tissues break down, leading to deeper lines and loss of firmness. OMI’s Renew collection helps reactivate skin cell autophagy and eliminate toxins and maintain healthy fat cells, while the Resveratrol from French Red Grapes and Hydrolyzed Collagen helps minimize collagen degradation and increase the production of new collagen for skin that’s visibly less wrinkled and dramatically firmer within. From Cleansers to Lifting Power serums, day creams and sleep masks, OMI’s products work from the outside with peptide-enriched Collagen Beauty Blends that de-age skin 360 degrees. At the heart of each product is a Cellular Rejuvenation Complex clinically proven to activate autophagy (the body’s natural process of detoxification) and unclog aging toxins and flood skin with the nutrition it needs to stay vibrant and healthy. Info: ominutrition.com. • Next, Eluit Salon on the Upper East Side, by master lock(s)smith Eluit Rivera, welcomes world-renown manicurist Zhanetta Khonkulova, whose 25-years of experience, including a much-heralded stint in Dubai, to its award-winning team. Zhanetta will be treating New York’s most discriminating beauty aficionados to bespoke manicures and pedicures. Info: eliutsalon.com. • Finally, men looking for a clean shave and handsome cuts need not look any further than Salon Fodera, the lower level barbershop/ beauty parlor inside the St. Regis Hotel. A hot-towel shave by Joe Ancona is the best way to start the week (or day). His clientele is a who’s who of New York’s business elite, from Larry King to Rupert Murdoch, Carl Icahn and former Gillette CEO James Kilts. Info: salonfodera.com.